But what does that mean? When we vote for a new mayor, how will that impact us day-to-day? Does our one vote really matter? At CityStudio, we believe cities are better when we build them together. We’re about connecting students, City staff and community to engage in innovative problem solving for the city. 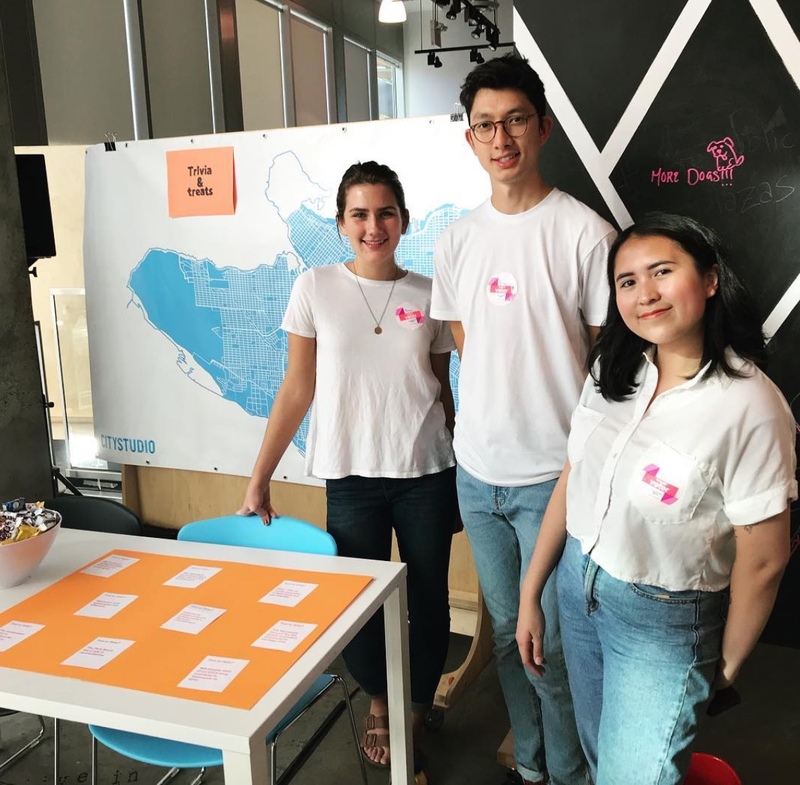 Students in the current SFU Semester in Dialogue at CityStudio cohort have been doing this work by tackling the issue of voter engagement together with the City and community. 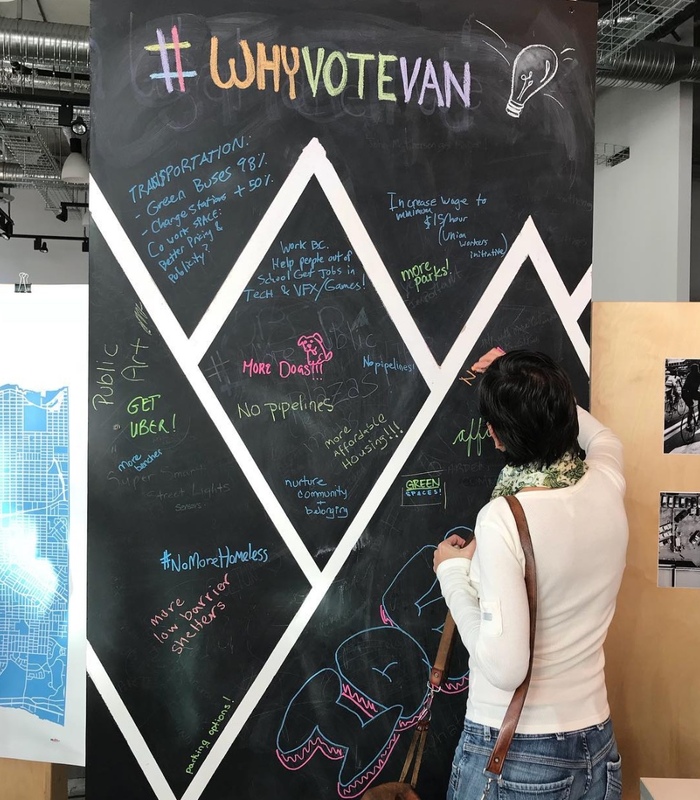 They created experimental social media campaigns and hosted an event called #whyvotevancouver to engage with young voters – particularly those aged 18-24 – to encourage them participate in the Vancouver election this October. They’ve also explored why it’s important for everyone to hit the polls. But you don’t need to be a student to have a voice in your city. Voting is one of the simplest ways any citizen can engage in the growth, shaping and development of our city. Voting isn’t new to most of us; we probably vote without even thinking about it – by putting our tip in a ‘Batman vs. Superman?’ jar at the coffee shop or responding to a poll posted by our favourite Instagrammer. There’s something satisfying about contributing our two cents (sometimes literally) to an issue and feeling part of the collective. Even if we vote differently than others, we are still part of a group of folks who are passionate about a similar topic. Voting in the municipal election on October 20th is just the next step. City Hall 101: What are we voting for? When you vote in Vancouver, you are voting to elect a new mayor and 10 councillors as well as 7 Park Board commissioners and 9 School Board trustees. Collectively, these individuals oversee our city, parks and schools. It’s no small feat. The City of Vancouver is responsible for the overall running of our city. (Makes sense, right?) It looks after a number of operational activities, like maintaining our roads and sidewalks, safe delivery of water to our homes, emergency services like police and fire, etc. But the city also oversees things like building and development which can directly impact what our neighbourhoods look like. It also decides on matters relating to housing and transportation. You may have an opinion on bike lanes or struggle to find parking close to home; either way, the outcomes are related to the work of the City. So who makes these decisions? The Vancouver Park Board is the only elected body of its kind in Canada. It oversees our city’s parks, pools, community centres, marinas, playing fields and more. You can start to see why voting is so important. It’s true that voting isn’t the only way to participate in the shaping of the city – there are also public consultations, hearings, committees, neighbourhood grants, etc. – but it’s good to think of these activities as complementary to voting. With your one vote, you have the opportunity to make your voice heard on a whole range of activities that contribute to the growth and development of our city. Sharing our reasons to vote at the #WhyVoteVancouver event. Have you ever caught yourself thinking your vote doesn’t make a difference? “What’s the point, it’s one vote?” You’re probably not alone; it’s thought to be one of the most common reasons why people don’t participate in elections, particularly if it’s expected to be a landslide victory. But change can only happen when we take action, big or small. Exercising your right to vote is a perfect example of a small action that can lead to real change. Sometimes elections are won by only a handful of votes. There are MANY reasons why it’s important to have your say at the polls this October, only a few of which we mentioned here. If you’re feeling ready and want to learn more, we put together a list of helpful resources including links to information about who is eligible to vote, what you need to bring, where to find the polling stations, etc. 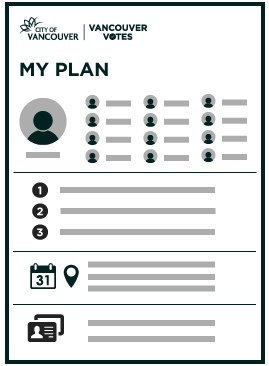 You can also learn more at vancouver.ca/vote and use the Plan Your Vote tool to help you navigate the new randomized ballot, choose a polling station and more. Election Day: October 20th. Mark it in your calendars and see you at the polls!